It truly is a golden age for amber-hued libations. Ballistic Beer Co – one of the most popular proponents of Brisbane’s next wave of craft beer – has stepped up its operations a year on from firing up the fermenters at its Salisbury brewery. The burgeoning brewery has expanded its sphere of influence to include a brand-new alehouse and kitchen of its own on Montague Road in West End. If you’re a fan of boilermakers, baller gin and tonics, burgers, bar bites and a bevvy of, well, craft bevvies, there’s a fair chance you’re in for a good time at this watering hole. When Ballistic Beer Co founder David Kitchen and head brewer Lachy Crothers launched their craft brewery last year, little could have prepared them for the positive response they would receive. 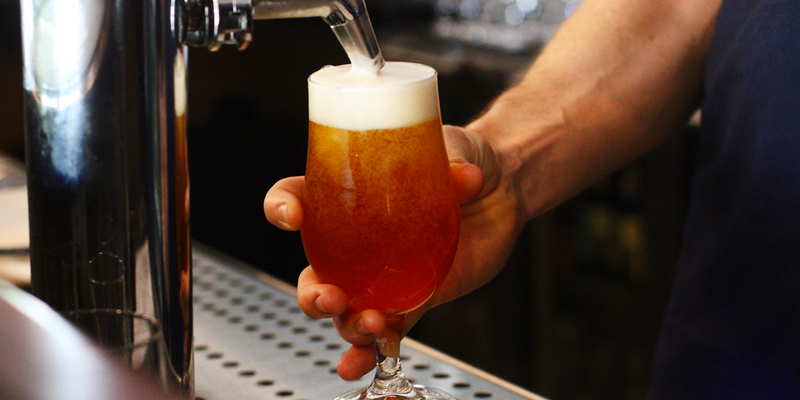 Twelve months on and not only is the Ballistic product available at bars all across town, but punters are travelling from across Brisbane to sip straight from the source at its Salisbury brewery. Good news for those commuting craft-beer lovers – Ballistic Beer Co has opened an alehouse and kitchen on Montague Road in West End, taking over the space formerly occupied by sudsy saloon Pour Choices. After a bit of a cosmetic overhaul, Ballistic West End Alehouse & Kitchen opened last Friday May 11 and is quickly positioning itself as a comfortable haunt. This comfort is key – the aim is for the alehouse to become a ‘third space’ for punters, the place they spend the most time outside of their workplace or home. For the launch of the bar, Ballistic West End has tapped kegs filled with some of its quaff-worthy range, activating six taps for Ballistic brews and one guest tap. Currently punters can sip on progressive, full-bodied drops such as Ballistic Beer’s Australian Psycho IPA, Shadow Army American imperial porter, Dirty Wood lager, The Godfather oaked ale and its signature pale ale, while a curated selection of bottled beers flesh out the collection of nectar. The back bar is home to a choice selection of Australian gins and whiskies (plus more quality hand-picked spirits), a smart selection of local wines, Simple Organic Sodas and premium soft drinks from Wimmers. Those wanting to put a few hairs on their chest can send back a boilermaker – pairing Ballistic beers with a matching spirit – while gin lovers can sip on tricked-out gin and tonics made with creative ingredient pairings. The Ballistic West End food menu has been crafted to be complementary to the drink, with an emphasis on approachability, accessibility and fresh seasonal ingredients. The shared starters selection caters to carnivores, vegans and those with gluten intolerances, with the likes of Vietnamese rice-paper rolls, tofu bites, fried squid, lamb koftas and smoked chicken terrines available. 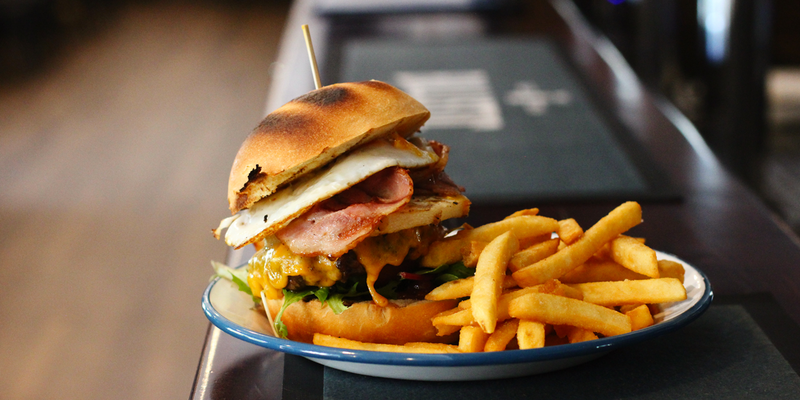 If you’re more eager for something substantial, Ballistic’s kitchen pumps out a range of sizeable burgers and a rotating selection of creative mains. While the team is content for now to settle into a groove post opening, be sure to keep your ears to the ground for news of a brunch offering in the future. Head to the Stumble Guide to find opening hours and location details.